Is 2/4 the same as 1/2 or 2/3s? It's important to know! 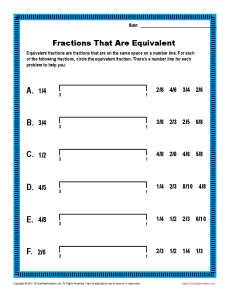 Your student will explore equivalent fractions in this worksheet. It's a great review page for ny grade or as practice for 3rd grade Common Core Standards for Numbers & Operations - Fractions.